There are no middle men. Please feel free to give JR a call to ask any questions. Use our Guest Feedback Form to send us an email. 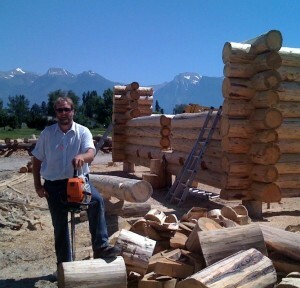 Our log yard is located in Clearwater, Idaho. 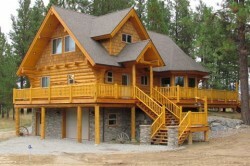 Clearwater Log Structures has built 50 to 60 homes scattered within a 150 mile radius between Montana and Idaho. 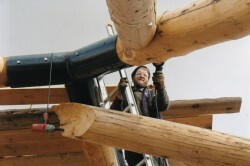 We welcome guests to stop by and see how we build our homes or take a look at our many gallery photos to see the variety of log home structures we design, handcraft and build for valued customers. Previously Mission Creek Log Homes, we have changed our business name to Clearwater Log Structures due to the fact of our church outreach here in Idaho.